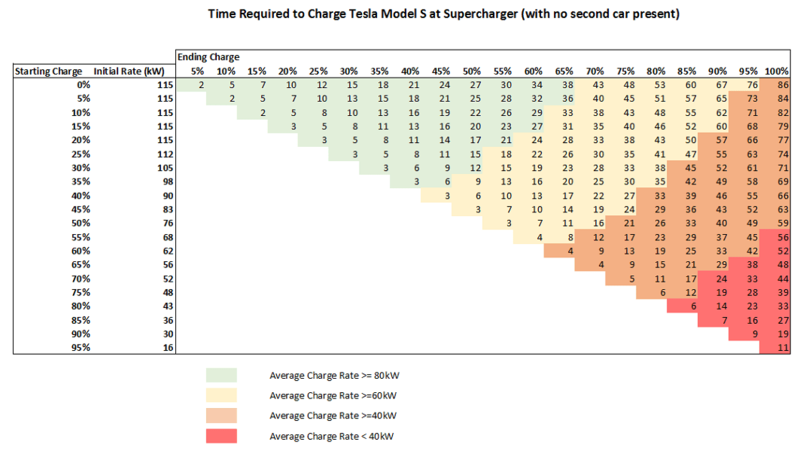 The idea was to use only Superchargers and charge at the following places, the number of miles shows the distance from the previous stop. One of the things to bear in mind for long journeys in a Tesla is that going faster does not necessarily get you to your destination quicker. 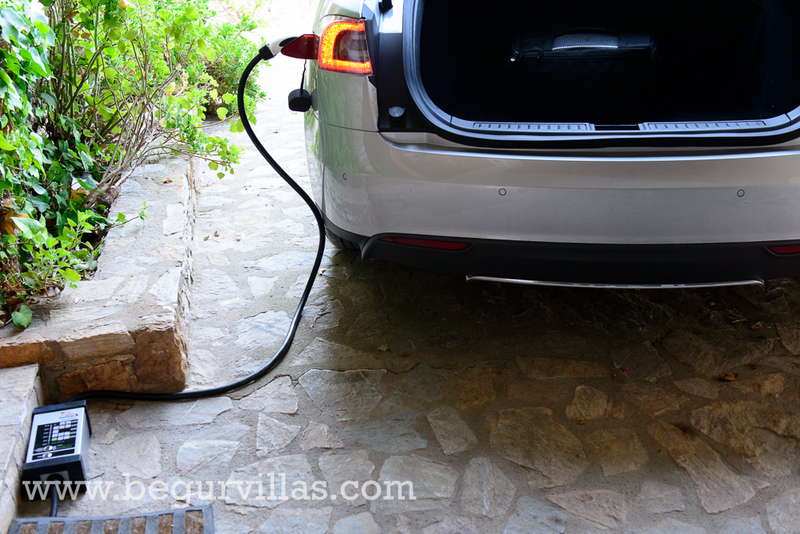 The car charges much quicker when empty than when nearly full, so it is best to arrive empty and charge just enough to get to the next Supercharger. Charging from 0% to 50% from empty takes just 27 minutes, which is as long as it takes to go from 85% to 100%. 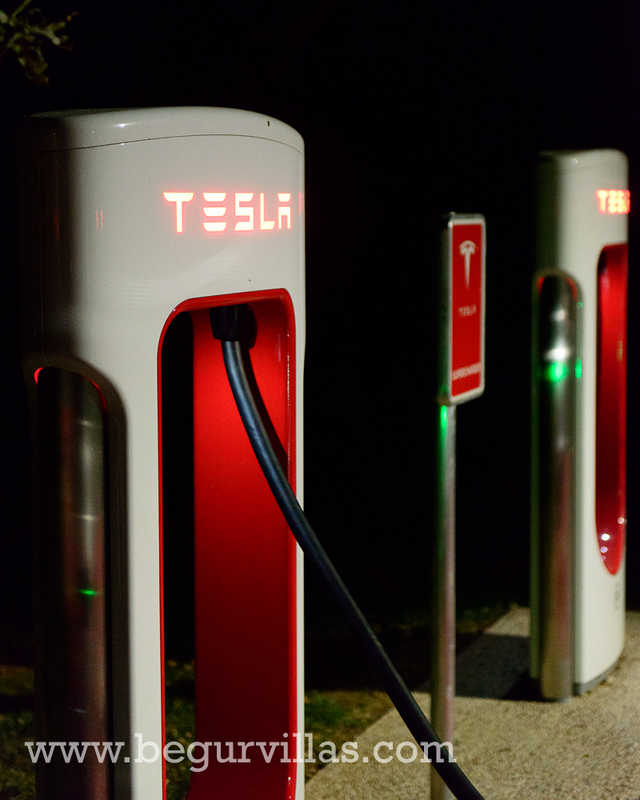 Each time we stopped we added enough electrons to take us to the next Supercharger with a small amount of buffer. The smart routing in the car is not as smart as I would have liked so I switched it off. The trip section of the energy chart, however, was very useful for telling us how much energy we would have when we got to our destination but it gave us a few false signals particularly at the start of a section. This allowed me to blast along at 80mph on the French motorways and adjust my speed up and down as I approached my destination. It is pretty scary at first arriving with 1 or 2 % left in the battery but we soon go used to it. I was VERY careful not to miss an exit when leaving the motorways to the charging station though! We did the whole journey without stopping and were very unlucky to get a violent rain storm in during the night when we should have been putting the miles in with less traffic. We arrived late Saturday afternoon. I think the journey was about 4 hours longer than it would have been in a petrol or diesel car but much more relaxing, enjoyable and considerably cheaper. The journey home seemed much easier. We left Begur at around 10.00am on the Saturday and followed the same route. We had an excellent meal in Macon at a restaurant just by the Supercharger and recharged ourselves as well as the car. We then drove up through Paris and all the way to Senlis which we reached at around 1.00am. 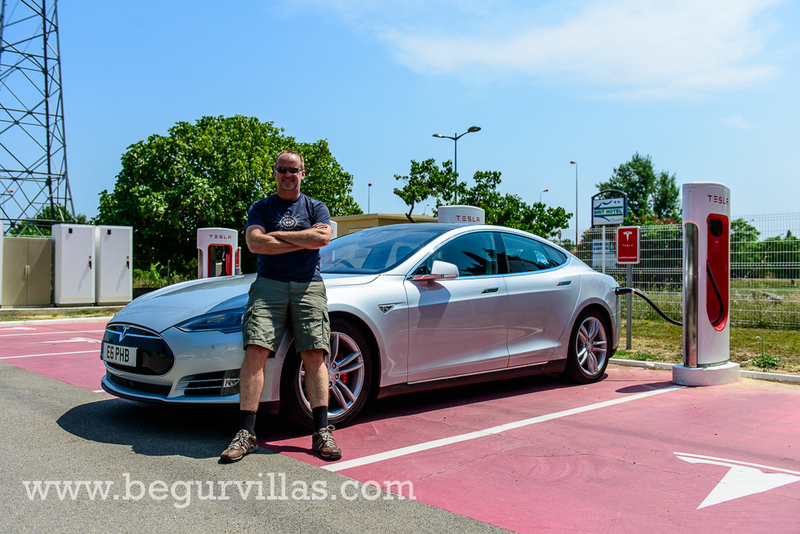 We stayed the night at the very reasonable and comfortable Ibis hotel by the Senlis Supercharger and were only a couple of hours from Calais when we woke up. We're doing the same journey this year, and the only thing we will change is to leave earlier on the Friday for the journey down. I imagine we will not stop the night on the way down again, the pool awaiting at the end is too tempting to waste time sleeping! I am looking forward to using the self steering as well as the traffic aware cruise control on the French motorways, I just hope it doesn't send me to sleep!